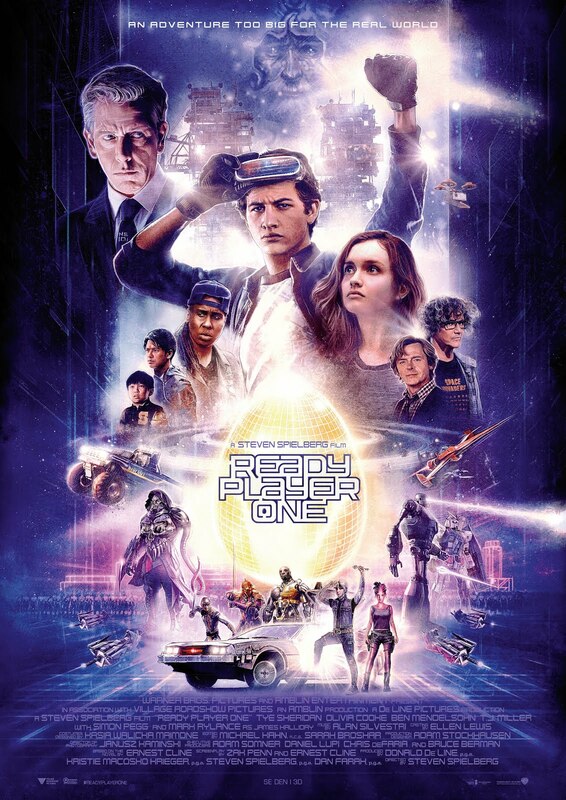 This entry was posted on Friday, April 13, 2018 and is filed under Ernest Cline,Friday Flicks,Movie Review,Ready Player One,Stephen Spielberg. You can follow any responses to this entry through the RSS 2.0. You can leave a response. My kids and I just started listening to this on audible. I like it so far! Hoping to finish in time to see the movie in the theater. Enjoy! It is so awesome that you're able to share it with your kids! I had started reading this book, and I LOVED the beginning, but then it started to drag too much, and I gave up. --sigh-- Everyone loves it, so I feel like I should try again. I listened to the audio version of the book and really enjoyed the narration. Maybe that would help propel you through the slower parts? I absolutely agree with this! Normally being so far from the movie just upsets me. But this was such a great movie. It is a rarity for sure. Leave it to Spielberg to surprise us! I tried listening to the audio but found the book .... hard to engagr wjth I think. This movie is SO ON my list to watch though. Wonderful, thoughtful review! Apologies for the spelling! That’s what i get for typing on the bus! I'm a nerd at heart, so I really related to the DND references in the book. I can totally relate to the typos while multitasking though! I appreciate any comments, typos and all! I've heard that Cline is working on a sequel too!